Begin with a special mix of biodegradable soaps and industry leading soft touch foam brushes to ensure that every customer’s vehicle is treated with care. Every wash ends with a spot free finish, thanks to our reverse osmosis water filtration and our powerful Advanced Dryer System to deliver the ultimate drying results. 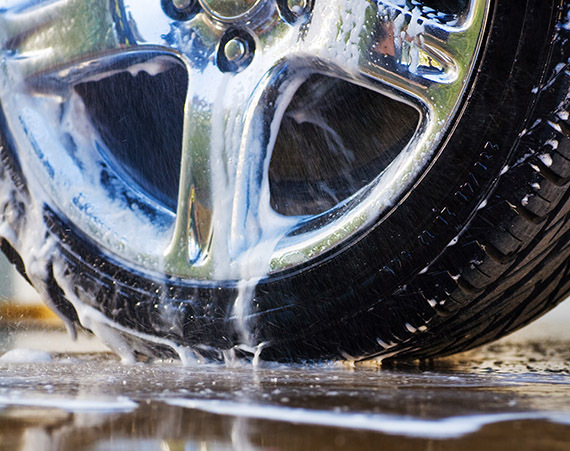 Our basic wheel cleaner and Triple Foam Polish, returns your wheels to a clean, shiny finish. And if you really love your tires, you can ask for the Ultimate with our Viper Ice Tire Shine, a new hybrid product combination of superior water-based silicone technology coupled with a specialty solvent mixture and bonding agent. This Hybrid™ technology creates extremely low/no sling action, keeping tires shining day after day. 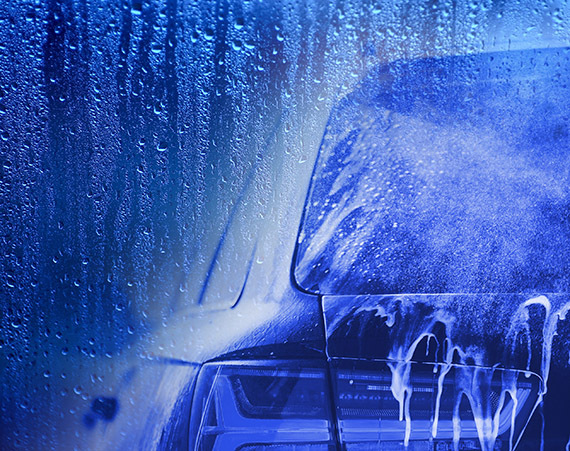 Our basic Hot Wax and Shine will help your car stay cleaner longer, protecting it from minor scratches, provide UV protection, and give it the classic, long-lasting crystal-like shine. 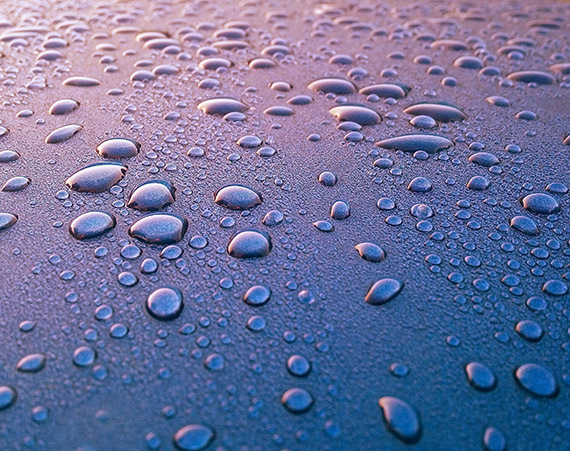 The Paint Protection also allows for a water repellent coating to make sure that any dirt, water, or elements does not stick to your vehicle between washes. This is our premium paint protection technology, exclusive to Car Wash USA Express and our sister car wash companies. Polymer Pro is a special formulated sealer that fills the minute pores in the paintwork and glass to create a surface which makes it more difficult for dirt, rain, and bugs to stick to. The Poly Pro protection produces a gloss and shine you would typically think can only be achieved waxing by hand. 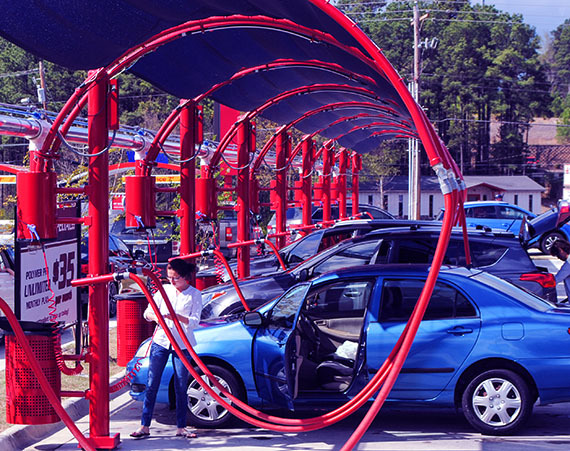 After every car wash you can always take advantage of our mega horse power free vacuums. There are also towels and window spray available to make sure you have everything you could need to make your car clean as new!